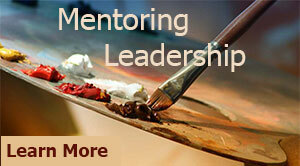 Jesus Leadership Mentoring Program was to equips every believer with spirituals gifts. His purpose so that we are able to continue His mission to reconcile the lost and hurting to Him. Let us actively sharpen our gifts to become effective ministers of the Gospel of Jesus Christ. You are looking for a Leadership Mentoring Program to practice your god-given gifts in the areas of gifts of healing, prophecy, distinguishing between spirits, teaching, ministering to others, exhortation, Word of wisdom, miracles, words of knowledge, etc. according to Romans 12:6–8, 1 Corinthians 12:8–10, 1 Peter 4:11. Do you want to improve leadership skills? You will gain effective leadership skill, and leadership competencies. The leadership mentoring program is for those who feel called in the area of deliverance and want to serve under Touch of God International Ministries. This is a safe place for those who serve with me, going through the training, or just want a place to grow in their gifting. There are various forms of spiritual gifts, and all Christians have God-given spiritual gifts for the Body of Christ for His purpose. The Lord entrusts us with spiritual gifts because this is one way He trains us to become more like Jesus. 1 Corinthians 12:4,7 King James Version (KJV) 4 Now there are diversities of gifts, but the same Spirit. 7 But the manifestation of the Spirit is given to every man to profit withal. Christ calls us to encourage and equip people so that we can all worship Christ and thus live out a real, effectual, impacted, Christian life. Maturity rose out of webs of relationships of older people interacting with and disciplining the younger (John 1:36-52, Acts 10:10). The Gospels tell us the models Jesus used were mentoring and small groups. Spiritual maturity and personal growth that will spill over into your church, the workplace, and people around you so that you become a force for the Kingdom as life and neighborhoods touched with the gospel. Format: Fellowship over a meal, teaching, worship, pray and ministry. Before registering, please take the gift test.